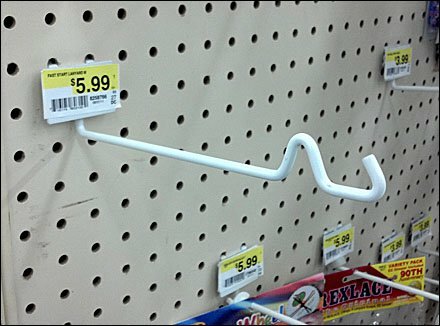 Anti-Sweep Hooks job is to deter mass theft … the “sweeping” of all items off a display hook and into purse or shoulder case. An Anti-Sweep Hook turns a quick elegant theft into an awkward, noticeable situation calling attention to the thief. Anti-Sweep Hooks can have front Label Holder systems like Scan Hooks, or be Back Labeled as here. 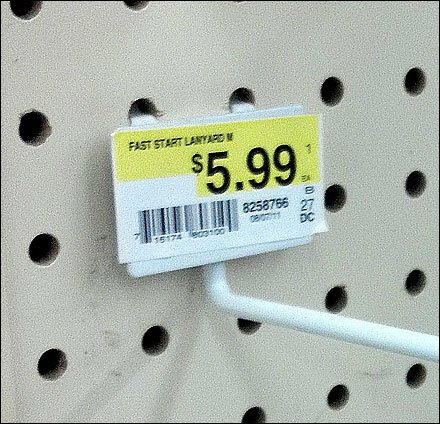 Often these hooks are “locked” or pinned to the Pegboard to prevent theft of the entire hook of merchandise. But this hook is long enough that it would be hard to “palm” “pocket” or pilfer in other ways.